USS GRAY was the third ship in the KNOX class. The frigate's last homeport was San Francisco, Ca. GRAY was decommissioned after only 21 1/2 years of service. 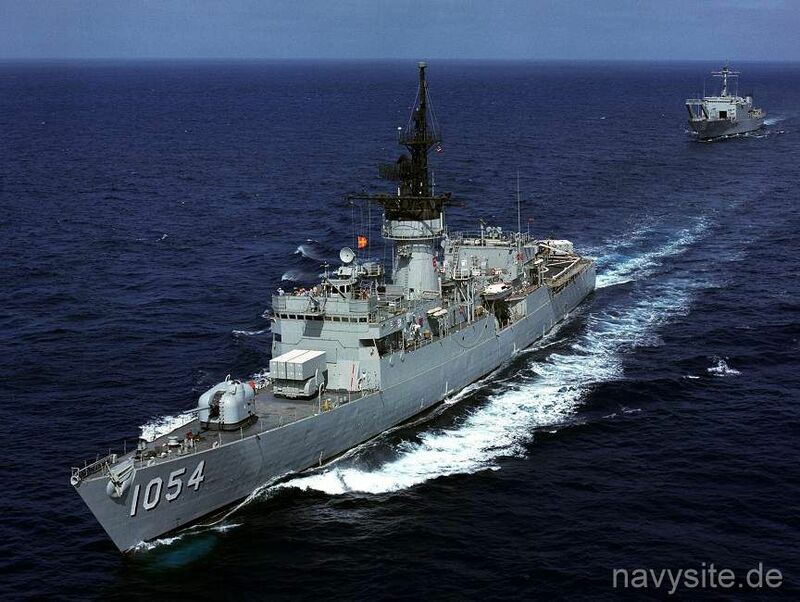 Stricken from the Navy list on January 11, 1995, scrapping of USS GRAY was completed by July 2001. This section contains the names of sailors who served aboard USS GRAY. It is no official listing but contains the names of sailors who submitted their information. 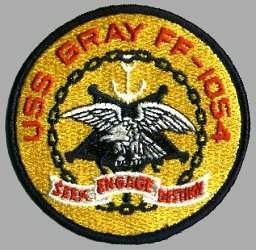 Click here to see which USS GRAY memorabilia are currently for sale on ebay. GRAY was built by Todd Shipyards of Seattle, Washington. Her keel was laid on 19 November 1966, she was launched and christened on 3 November 1967 and she was commissioned on 4 April 1970. 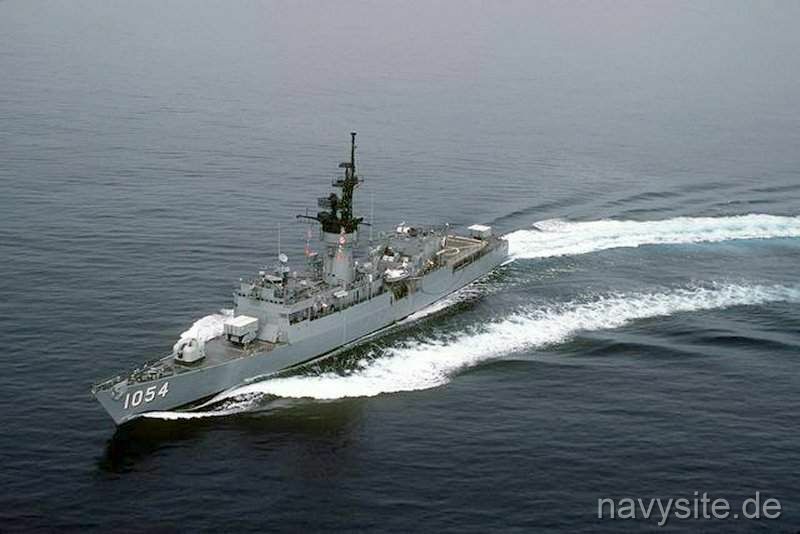 On 2 March 1971, GRAY sailed for her first WESTPAC deployment during which she participated in virtually every type of operation which destroyers are called upon to perform. She operated in the Sea of Japan and was also assigned to Search and Rescue duties during combat operations in the Gulf of Tonkin. GRAY returned to home port in San Diego on 25 August 1971. After being awarded the Flotilla Battle Efficiency "E" for her superior performance during her second WESTPAC in the fall of 1972, GRAY further distinguished herself by becoming the first Pacific Fleet ship to qualify for Unrestricted Steaming by the 1200 PSI Propulsion Examining Board. GRAY completed her third successful WESTPAC in January 1974, and six months later commenced her first extensive overhaul and modernization in Todd Shipyard, Seattle, Washington. This overhaul was completed on 16 April 1975. GRAY completed her fourth WESTPAC deployment on 9 July 1976. This eight month deployment included operations with foreign navies, and a 70-day excursion in the Indian Ocean. On 18 September 1976, GRAY entered Long Beach Naval Shipyard for installation of the HARPOON missile. After completion of her Long Beach availability, GRAY commenced a rigorous operating schedule including various pre-deployment inspections and designation as the evaluation ship for the HARPOON missile weapon system. On 6 September 1977, GRAY departed for her fifth WESTPAC. She was fortunate to make a 77-day trip through the South Pacific, including port visits in Fiji, New Zealand, Australia and Indonesia. Several months after her return in April 1978, GRAY again returned to Todd Shipyard, Seattle, Washington for her second major overhaul since commissioning. GRAY returned to San Diego on 10 November 1979, after her extensive 14-month overhaul period. For the next twelve months, GRAY prepared herself for her sixth WESTPAC deployment by successfully passing a number of training and inspection evolutions as well as participating in several major Pacific Fleet exercises. On 22 November 1980, GRAY steamed out of San Diego Bay to commence her WestPac Cruise. Assuming tactical command of USS LANG (FF 1060) and USS ELLIOT (DD 967), USS GRAY sailed westward, reaching Pearl Harbor on 2 December. Here USS GRAY and her task unit were joined by and had the unique opportunity to operate with three Japanese destroyers. As the combined task unit crossed the International Date Line, the traditional one day was lost, but ironically the unique situation involving this missing day was that it was December 7th. It seemed appropriate that in this setting, the 39th anniversary of Pearl Harbor, that neither side observe that infamous day. After detaching the Japanese units on 12 December, USS GRAY, USS LANG, and USS ELLIOT made a brief stop in Guam and continued west, arriving in Subic Bay on 21 December 1980. As 1980 came to a close, USS GRAY spent her last 10 days of the year recovering from the 8,000 mile transit and looking ahead to preparation for Seventh Fleet operations which would include South China Sea operations and an Indian Ocean deployment. USS GRAY faced the approaching New Year with great confidence. USS GRAY completed ten years of service in 1980. May 26, 1979 Todd Pacific Shiyard, Seattle, Wash. USS GRAY's living barge receives structural damage of over $1 million dollar in a fire caused by arson while the ship is berthed at Todd Pacific Shiyard, Seattle, Wash.
Ross Franklin Gray was born in Talledaga Springs, Alabama, on August 1, 1920. He enlisted in the US Marine Corps Reserve in Birmingham, Alabama on July 22, 1942. He departed for overseas operations in the Pacific January 13, 1944. In March of that year he was promoted to Engineering Corporal. In June and July 1944 he participated in landings on Saipan and Tinian Islands in the Marianas Islands. In August he was promoted to Sergeant. On February 21, 1945, two days after the intial landing on Iwo Jima the platoon lead by Sergeant Gray was pinned down by a heavy barrage of Japanese hand grenades. Withdrawing his platoon, the twenty-four year old Sergeant moved forward alone until his advance was held up by a series of enemy emplacements fronted by a mine field. Sergeant Gray, capitalizing on his earlier training in disarming and removing mines, cleared a path through the mine field before returning to his platoon for twelve satchell charges and three volunteers to cover his movements. Sergeant Gray, under the cover provided by the three members of his platoon, crossed the mine field six times, each time carrying a twenty-four pound charge through heavy fire and systematiclly destroyed the Japanese emplacements. Following his one man offensive, Sergeant Gray went back to the mine field and completely disarmed it before returning to his platoon. A later count showed that he accounted for a machine gun, a small field piece, an ammunition dump, and twenty-five of the enemy. Although he remained unscratched through his heroic action, Sergeant Gray was killed six days later on February 27 by fragmentation from an enemy projectile. Sergeant Gray was posthumously awarded the Medal of Honor for conspicuous gallantry and intrepidity at the risk of his life above and beyond the call of duty. For conspicuous gallantry and intrepidity at the risk of his life above and beyond the call of duty as a Platoon Sergeant attached to Company A, 1st Battalion, 25th Marines, 4th Marine Division, in action against enemy Japanese forces on Iwo Jima, Volcano Islands, 21 February 1945. Shrewdly gauging the tactical situation when his platoon was held up by a sudden barrage of hostile grenades while advancing toward the high ground northeast of Airfield No. 1, Sgt. Gray promptly organized the withdrawal of his men from enemy grenade range, quickly moved forward alone to reconnoiter and discovered a heavily mined area extending along the front of a strong network of emplacements joined by covered trenches. Although assailed by furious gunfire, he cleared a path leading through the minefield to one of the fortifications, then returned to the platoon position and, informing his leader of the serious situation, volunteered to initiate an attack under cover of 3 fellow marines. Alone and unarmed but carrying a huge satchel charge, he crept up on the Japanese emplacement, boldly hurled the short-fused explosive and sealed the entrance. Instantly taken under machinegun fire from a second entrance to the same position, he unhesitatingly braved the increasingly vicious fusillades to crawl back for another charge, returned to his objective and blasted the second opening, thereby demolishing the position. Repeatedly covering the ground between the savagely defended enemy fortifications and his platoon area, he systematically approached, attacked and withdrew under blanketing fire to destroy a total of 6 Japanese positions, more than 25 troops and a quantity of vital ordnance gear and ammunition. Stouthearted and indomitable, Sgt. Gray had single-handedly overcome a strong enemy garrison and had completely disarmed a large minefield before finally rejoining his unit. By his great personal valor, daring tactics and tenacious perseverance in the face of extreme peril, he had contributed materially to the fulfillment of his company mission. His gallant conduct throughout enhanced and sustained the highest traditions of the U.S. Naval Service.